It certainly helps to love, (or learn to love) London if you want to forge a career in the UK market research industry. The gravitational pull of London and the south east is (too) strong in all aspects of UK life. But there can be few industries where the geographical imbalance is more profound than it is in market research. At house51 we love London. Our founding partners have lived and worked there for over 20 years. But there is a hell of a lot of life outside the M25. So, when it came to planning the next stage of our young business, we decided it was time for a change. Above all, we were thinking about the vibrant and motivated team we want to grow. And the opportunities they’ll want beyond work. Some of these opportunities (e.g. an accesible and affordable cultural life, good work life balance and a realistic prospect of achieving the security of owning your own home) are becoming increasing elusive in London. So, house51 is now based in Glasgow with some hot desks in Shoreditch. Glasgow is the UK’s first UNESCO City of Music with over 130 live performances a week. Love Shoreditch, Hoxton, Hackney etc? Lots of Glasgow is just like these areas were 20-30 years ago before gentrification and the relentless creep of Pret, Byron, Foxtons etc. The smallest space we could rent in our new building is bigger than most of the homes we’ve rented or owned in London. But it costs less than a couple of hot desks in our ‘workspace’ in Shoreditch. Many of our fellow tenants are people who create and make things. Glasgow Sculpture Studios has world-class production facilities in wood, metal, plaster and ceramics. And membership of the building gives us access to these workshops for learning and serendipitous conversation and collaboration. OK, so it’s not a ‘transport hub’ like London. But it’s easy to work globally from Glasgow. When digital communication won’t do the human scale of Glasgow means that door to door we can get to our biggest clients in Europe and New York quicker from Glasgow than Shoreditch. Of course, all of the great ‘regional’ cities of the UK offer similar benefits. Just ask the growing number of agencies based in Leeds, Manchester etc. They also offer rich diversity of social, economic, political and cultural experience. 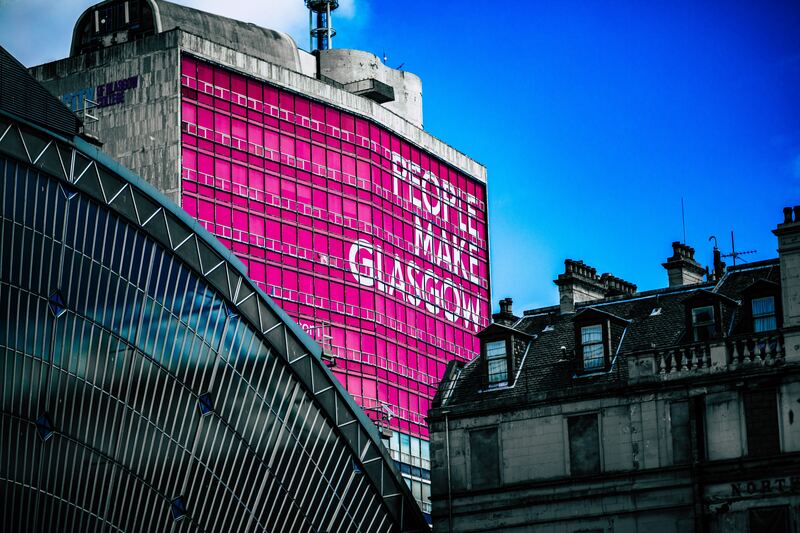 We’ve focused on Glasgow because it’s the one we know best. But it’s a pity that London centric working means that many in our industry don’t know any of these places well enough. As the shock waves from Brexit continue to ripple there’s been much handwringing about ‘metropolitan elites’ and the ‘London bubble’. There’s been a flood of thoughtpieces and conference presentations where London based agencies have offered glib solutions about ‘getting out there’ and ‘listening more’. Perhaps a more robust solution would be for more of the market research industry to actually live and work in the communities they are striving to understand? You never know, we might just enjoy it!